It'll take "a few iterations," but it'll happen, EA's European boss Jens Uwe Intat told Eurogamer. "In any year I would want to see that happen, yes," he said. "It's possible. If we as a company put all of our effort into winning market share in a place we can do that." 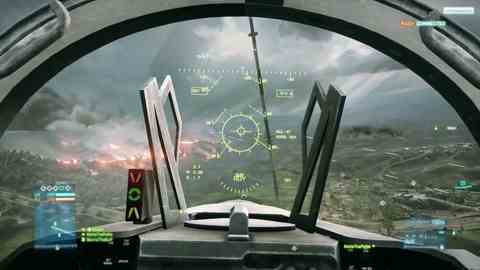 This year Battlefield 3 goes head-to-head with Call of Duty: Modern Warfare 3. While analysts predict Battlefield 3 will prove a huge success (one expects it to shift 11 million copies), Modern Warfare 3 is expected to outsell it - and break video game sales records set by last year's 20 million-selling Black Ops. Uwe Intat said EA had demonstrated how to overtake a market leader in the past, pointing to FIFA's current dominance over PES. "We've shown that in the football space with FIFA. We were behind. We rewrote the engine. We came back with a superior game. It took us a few years, but now we are the clear market share leader in that space, and we want to do it again. "It takes a few iterations, but it's doable." As for this year, EA hopes to reduce Activision's share of the first-person shooter space by a considerable amount. "This is obviously top priority for us," Uwe Intat said. "Battlefield this year is a critical priority of what we're doing. We are also very ambitious, and we obviously have a clear competitor out there, who in the past for quite some time has dominated that space. "What we've embarked on is to take market share away from Activision, big time. The way we're doing this is focusing on, front and centre, the game and the consumer experience. It's not that we just want to have a marketing battle. We want to have the better game. "We have this wonderful team in Sweden that has been working on a new engine, Frostbite 2, and what we now have is the better game. We're very proud of DICE. "Rome was not built in a day. We're not going to take over that place in one go. But, if you say Activision last year had 90 per cent of the shooter space, we definitely want them to go down to 70, maybe 60 per cent this year. That is what we are aiming for."